Excellent condition. I have tried to find out how early this bear was released but I have never been able to find out any information about it, nor any other pictures online. The limbs can be rotated to sit properly. 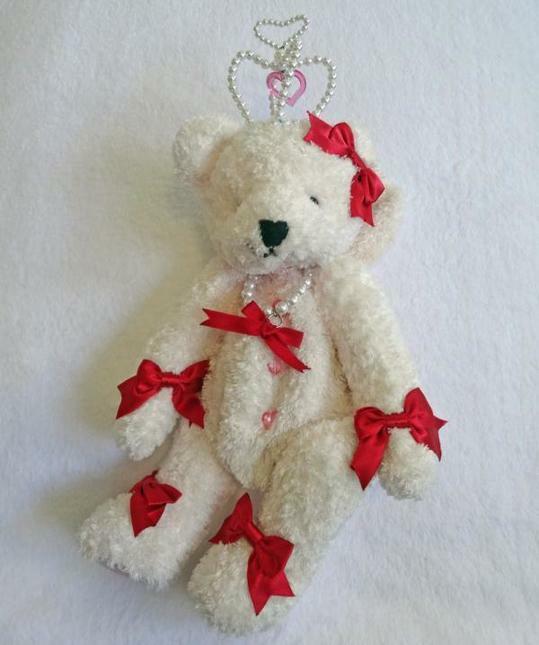 The bear is wearing a detachable ribbon pearl necklace. The back has a zipper with a compartment that is larger than recently designed bears.